Amazon.com description: Product Description: The pages of this book illustrate that as instruments of socialization and sites of ideological discourse textbooks are powerful artefacts in introducing young people to a specific historical, cultural and socioeconomic order. 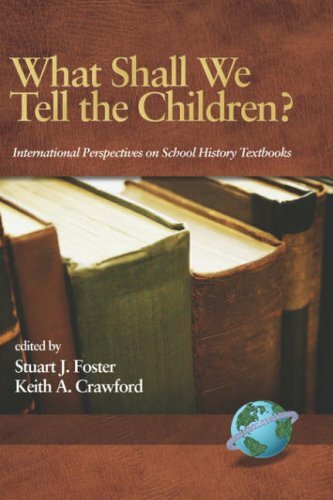 Crucially, exploring the social construction of school textbooks and the messages they impart provides an important context from within which to critically investigate the dynamics underlying the cultural politics of education and the social movements that form it and which are formed by it. The school curriculum is essentially the knowledge system of a society incorporating its values and its dominant ideology. The curriculum is not "our knowledge" born of a broad hegemonic consensus, rather it is a battleground in which cultural authority and the right to define what is labelled legitimate knowledge is fought over. As each chapter in this book illustrates curriculum as theory and practice has never been, and can never be, divorced from the ethical, economic, political, and cultural conflicts of society which impact so deeply upon it. We cannot escape the clear implication that questions about what knowledge is of most worth and about how it should be organized and taught are problematic, contentious and very serious. About: The pages of this book illustrate that as instruments of socialization and sites of ideological discourse textbooks are powerful artefacts in introducing young people to a specific historical, cultural and socioeconomic order.